We are excited to share with you everything we've learned in the field of mind-body medicine -- to take your life to the next level...and beyond! Dr. Christian Guenette is a Chiropractic physician, certified Life Coach and co-creator of the best-selling book: The Thought That Changed My Life Forever. Fueled by an insatiable passion to help people, Christian has dedicated himself to alleviating the unnecessary suffering in the world. He defines this type of suffering as the repetitive, self-inflicted kind that is associated with negative thinking, poor self-esteem and unconscious behavior - and he sees this condition as an epidemic in our society, especially in developed countries like North America. For the past fifteen years, Dr. Guenette has been studying the mind-body connection and the effects of Positive Psychology to find a cure for this condition. Along the way, he has acquired a number of different tools to help individuals feel better: Trigenics Functional Neurology, Network Spinal Analysis, CranioSacral Therapy, E.F.T. and PSYCH-K to name a few. What he's discovered is that for most people, using 'techniques' to address painful problems usually only provides a temporary solution. However, when people are committed to changing the behavior that created the painful pattern in the first place, the fix is more permanent. Inspired action, he believes, is the key. As a result, Christian has pooled all of his personal and professional experience to create this inspiring 8-week program filled with incredibly effective tools of transformation that build upon one another, week after week -- to be used to find success in any area of life: personal, professional, financial, relational, you name it. With the proper support, Dr. Guenette believes any mind can be consciously reconditioned to think differently, leading to a healthy and happy physical, emotional and spiritual state of being. Happyness Unlimited provides that kind of necessary support. He's so confident, in fact, he has added a 60-day, money-back guarantee to this program: as long as a person attends all eight sessions and completes the strategically crafted exercises, he guarantees they will realize a significant shift in their happiness, adding more meaning and fulfillment to their life! Are you ready for change? Why wait? Join us at the next LIVE session this Saturday! 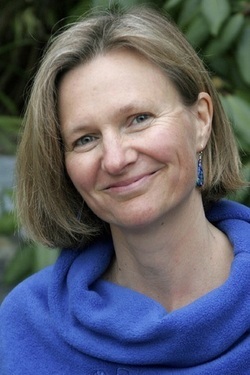 Caitlin Frost is a coach and facilitator of transformative process working with both individuals and groups who want to access more possibility, peace and happiness in their lives, relationships and work. She is a Certified Facilitator of The Work of Byron Katie, a simple yet profoundly powerful practice for working directly and effectively with your own stressful thinking patterns, limiting beliefs and fears that keep you stuck in negative and stressful patterns and reactions. Caitlin has trained and worked directly with Byron Katie for many years, and has had a deep personal practice in The Work for more than 14 years. She has used The Work in her own life to navigate the challenges of parenting, relationships, eating patterns, professional life and family loss. She continues to be amazed at the power of The Work to not only bring peace and resolution to specific stressful situations but it's ability to help us actively shift underlying patterns of thinking and states of mind to more openness, peace, creativity and joy, even under the most stressful circumstances. Caitlin offers workshops and retreats in The Work around the world in a range of settings including yoga and meditation centres, banks, law firms, community agencies, addiction centres and universities. She also teaches The Work in a number of leadership programs that recognize the importance of open and possibility thinking including Leadership 2020 in BC, Ohio State University, and The Harvard Kennedy Leadership Program. Caitlin has a thriving coaching practice (on skype and in person) working with individuals engaging with the full array of life challenges in both personal and professional life. She uses The Work to help people identify the beliefs that are keeping them stuck and supports them to shift underlying patterns and reconnect to their own inherent wisdom, clear thinking and happiness. Caitlin is a parent of 2 amazing and feisty teenagers and lives on Bowen Island, BC with her family. In 2003, Annabel Fisher was wheelchair-bound with the long term effects of Chronic Fatigue Syndrome (CFS). In 2004, she was introduced to Emotional Freedom Techniques (EFT) and her life was turned around. By 2005, with no money to speak of, Annabel started her EFT Practice in the UK on a shoestring. Having used all her savings to facilitate her recovery from illness, what she lacked in financial resources, she made up for in sheer determination! She went on to create a thriving, heart-felt EFT Practice in BC, Canada. She used her own experiences to establish her niche in working with chronically ill clients, via phone or Skype, around the world. 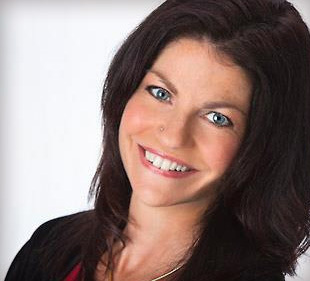 An accredited EFT Practitioner, Trainer, and Trainer of Trainers, and Certified Matrix Reimprinting Practitioner and Trainer, Annabel now focuses her attention on training and mentoring students to become masterful EFT Practitioners, and empowering them to create wildly successful EFT Practices. She is a speaker, and the author of the best-selling book on Amazon.ca: `The Healing Game: Transforming Chronic Illness Using EFT`. Shaun Phillips, M.Ed., R.C.C., S.F.T.T., is a Registered Clinical Counsellor and Supervising Focusing-Oriented Therapist and Trainer, and Focusing Coordinator. He holds a Masters Degree in counselling psychology from the University of British Columbia. 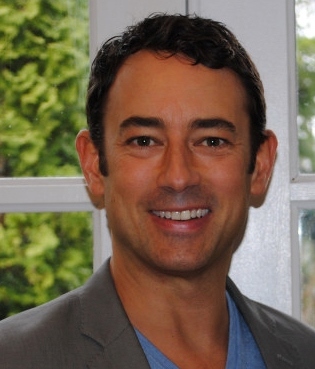 Shaun specializes in working with complex trauma and has presented on this work at the 2014, 2011 and 2009 World Conferences on Focusing-Oriented Psychotherapies in New York. He has a private practice with a range of adolescent and adult clients addressing issues that include: childhood and adult trauma, PTSD, anxiety, depression, grief/loss, and relationship issues. Shaun is an associate therapist with Sand Story Psychology Services where he engages children in Focusing-Oriented Therapy (FOT) and Play Therapy. Shaun is also one of the instructors and clinical supervisors of the Aboriginal Focusing-Oriented Therapy and Complex Trauma Certificate Program (Focusing Institute, New York). Shaun's recent/upcoming teaching engagements include: Connections and Crossing Across Cultures Advanced and Certification Weeklong (Focusing Institute, 2013) , and on-going workshops in Focusing-Oriented Therapy and Complex Trauma (FOTCT) with Saint-Paul University (Ottawa), and Shiluv Centre (Israel). Shaun recently presented a keynote address “Embracing Mystery: Tracking the Trauma Body” for the Flemish Association for Client Centered and Experiential Psychotherapy and Counselling Annual Conference (Antwerp, Belgium). While in Belgium and The Netherlands Shaun presented several workshops on FOT and Complex Trauma focused on intergenerational trauma. In March 2015 Shaun has been invited to teach in China and Japan. Shaun continues to work closely with Long Lake #58 First Nation (Ontario), where he and his colleague Dr. Deborah Bell have partnered with the community to create and facilitate Seeds of Hope: Creating Change by Building Connection and Capacity in Community, an infant mental health initiative funded by Health Canada. Kate Potter is an internationally acclaimed teacher whose Yoga television show, NAMASTE has been seen worldwide , and translated into Spanish for her following in Mexico and Latin America. Her fondness for teaching beginners, her love of practice, and choreographic insistence on the breath, tie in well with her knowledge of Ayurveda and Yoga Therapy. Kate's generous delivery of old and new teachings, leaves one refreshed, and wanting more. Kate's teaching includes a Yoga Therapy called “New Pathways” which takes it's lead from her direct experience of healing an 8 year illness of Fibromyalgia through brain re-patterning. She uses her training to work with all people who have feedback loops, or are stuck in patterns which are not serving them.Kate has a firm belief we need to train happiness. New studies in cognitive neuroscience illustrates that we can change the brain, hone the mind, and develop “executive function” which actually nourishes us in radical ways. “By training happiness, we see that we are nourishing health . Just as important as training happiness is training reflection, empathy and listening”. When you take Yoga with Kate, you might think you are getting a lovely stretching practice, but you will feel the depth of her 25 years of teaching, and know there is much more here than meets the eye. Kate has an ability to feel other people's area of held belief ( which sometimes shows up as unhappiness or pain), but what makes her different, is her ability to facilitate transformation and give hope to everyone she meets. Learn sequences names Exuberance, Innocence and Perseverance. Call up the feeling of these practices and keep the memory bank alive with good patterns. Don't miss a chance to work with Kate Potter who's life experience of Yoga, Zen Buddhism and eclectic study will fill you with inspiration.